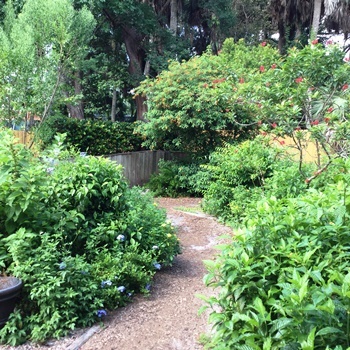 Join us for a FREE guided walk along the Ashley Trail, a quarter-mile natural trail that winds through the butterfly garden, coastal hammock, and mangroves, to a sandy beach by the Intracoastal. Observe local flora and fauna as your naturalist guides you on this island exploration. Meet on the front porch of the Nature Center. All ages; children under 18 must be accompanied by an adult. May be cancelled without notice due to poor weather conditions.